pp. 264 con 135 ill. a col. e b/n, 1° ed. Jean-Louis Cohen, Sheldon H. Solow Professor of History of Architecture at the Institute of the Fine Arts at New York University. Wallis Miller, Charles P. Graves Associate Professor of Architecture at the University of Kentucky. Mario Carpo, Reyner Banham Professor of Architectural Theory and History, The Bartlett School of Architecture, UCL London. Lèa-Catherine Szacka Assistant Professor at the Oslo School of Architecture and Design (AHO) and member of the Oslo Centre for Critical Architectural Studies, Léa-Catherine Szacka is an architect, critic, and doctor in history and theory of architecture (Bartlett School of Architecture, 2011). 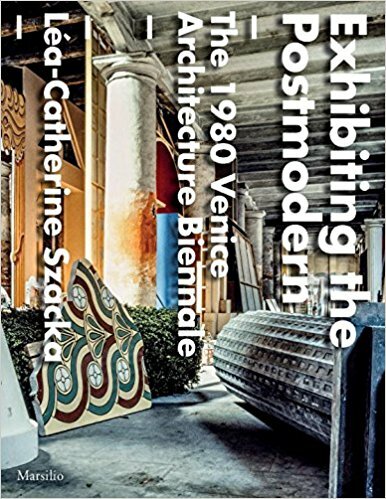 Szacka's work focuses on the history of architecture exhibitions and the history and theory of postmodern architecture.